The weather has turned cooler here in North Carolina (hooray! ), and I'm finally starting my fall decorating. Actually, the red one was a little too large, so I exchanged it for a smaller blue one. I wasn't wild about the bright colors, but a quick coat of Rustoleum's Oil-Rubbed Bronze spray paint fixed that issue with no problem. 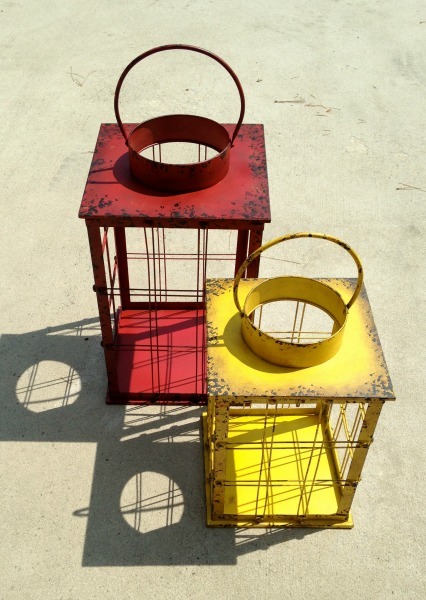 These made the perfect filler for the middle of my lanterns. 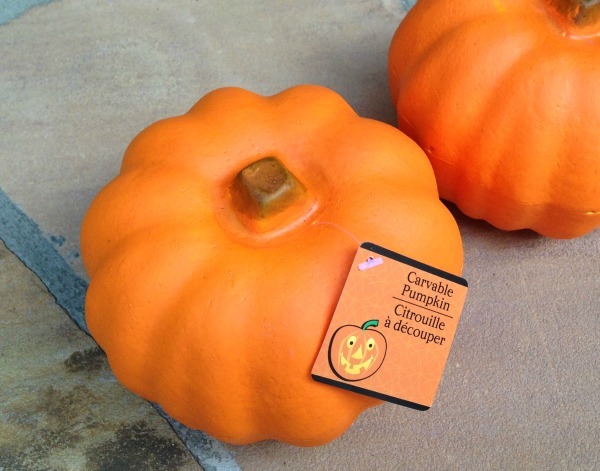 Surrounded by prettier, smaller gourds, they practically disappear. 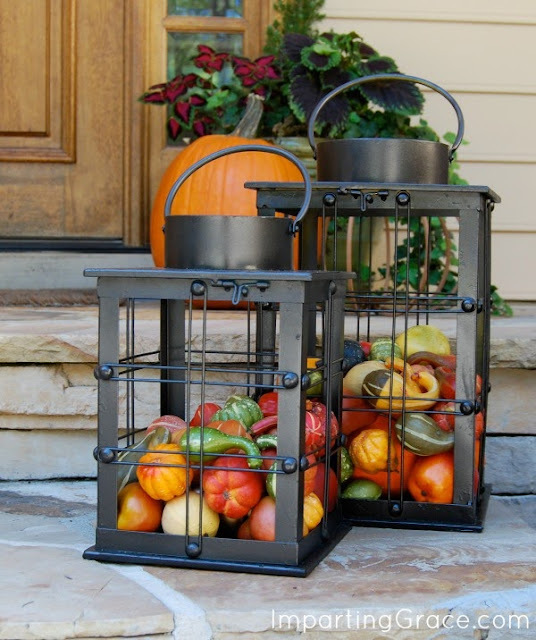 I'm quite a ways from having the front porch all decked out for Fall, but these fun lanterns give me a nice start, I think! 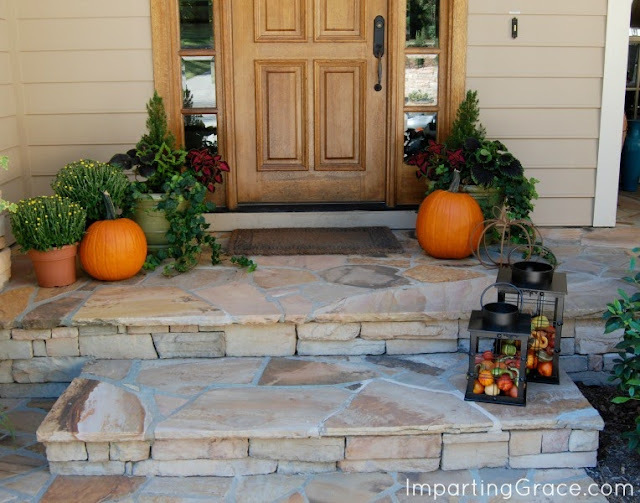 Have you started decorating for Autumn at your house? They are so pretty. I bought a stand at World Market that will hold my black lantern, and that will look great to put around my candle. Thanks for the inspiration! And btw, your plants are gorgeous! Thanks for the great inspiration! I bought two huge lanterns at IKEA but since the sun melted the candles that were inside, they have been sitting empty. LOVE this idea! Very smart thinking, Richella! I always enjoy seeing your front porch area for every season -- always so pretty! Richella, your lanterns look great! 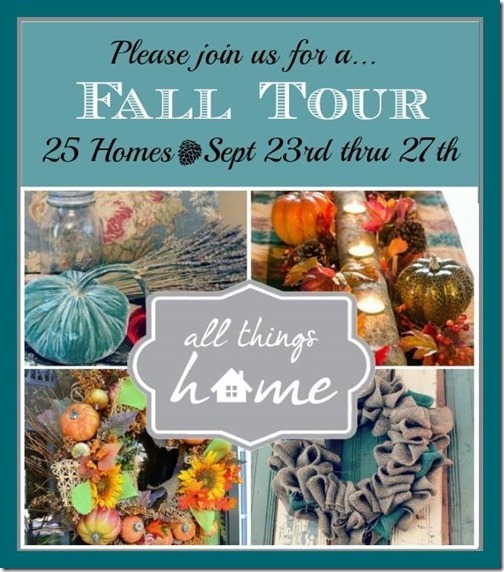 Can't wait to see all of your Fall decor. You always do such a great job! Nice start on the fall decorating - love the lanterns and the gourds! I haven't done any fall decorating yet - I just can't get into it with the temperatures still in the high 90's here in South Florida it will be awhile before we have any cool weather. But high temperatures or not - October 1st I start some decorating! Such a great job and what a welcoming entry! Love the idea of filling the lanterns that way. I'm starting to work on my porch this week :) Enjoy your cooler temps! Hello Richella, Very cute and fun idea! We have a huge amount of real pumpkins this year. They are picked and in the garage till things cool down a bit. Have a great week! Very cute lanterns Richella. I've been too busy to even get into my box of Fall stuff yet! Happy to be back at your party after a few weeks off. Have an amazing week. I love it! My heart beats a little faster when I see fall decorations! 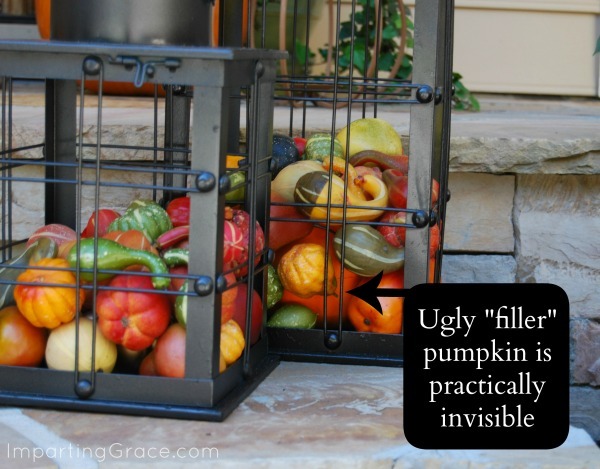 Love the idea of filling your lanterns with fall gourds and pumpkins. Beautiful idea! The porch looks so pretty and ready for fall! love it all, but am ready for bed, too tire to read. can I ask, if your lanterns have glass in them? I recently bought a large lantern at a small local flea market, and it was cheap, but I DID NOT notice that the back pane of glass was missing until I got home? what? well I need to get my eyes checked. but I am making good use of it, so I was just wondering, 'cause your photos are so clear that I can't tell. thankyou!!!!!!!!!! !